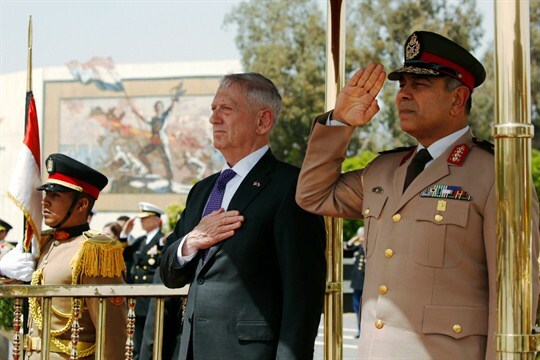 U.S. Defense Secretary James Mattis and Egyptian Central Military Zone Commander Gen. Ayman Abdel Hamid Amer stand for the U.S. national anthem, Cairo, Egypt, April 20, 2017 (Pool photo by Jonathan Ernst). Security assistance is a longstanding American tool to build up cooperation with key countries, including regional heavyweights like Egypt, Nigeria and Pakistan, where security deficits have consequences for the United States. But security cooperation often requires bureaucratic agility and a true convergence of interests between the sender and receiver. Both elements have been in short supply recently, and new efforts to reform the enterprise seem unlikely to transform these difficult partnerships.